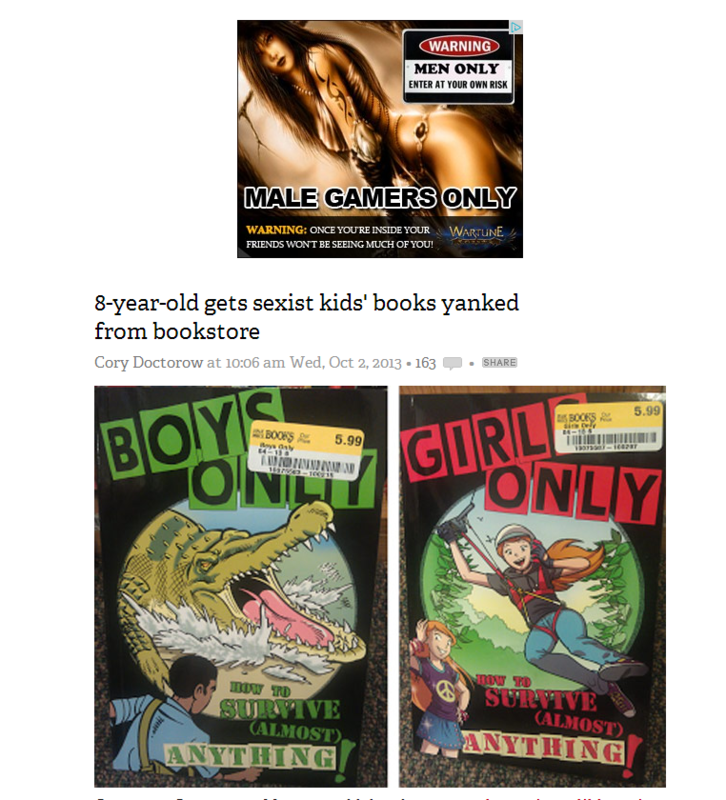 BoingBoing is one of my favourite websites but occasionally things go a little awry. 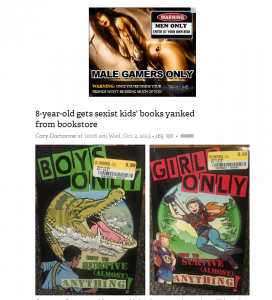 A story there today about some 8 year old girl objecting to a series of books for girls and books for boys. I got the sense that she was unhappy with the girls book because of it’s angle that girls didn’t like things like camping trips.